This Week In DOCTOR WHO History: Nov 13th to Nov 19th | Warped Factor - Words in the Key of Geek. Strap yourself in as today, November 13th, is a busy one in Doctor Who history. We start with the opening episode of The Daleks' Master Plan, titled The Nightmare Begins, which was broadcast on this day in 1965 and watched by 9.1 million viewers. Eleven years later, the Crispy Master is in full swing in part three of The Deadly Assassin, which was watched by a mighty 13 million viewers, one of them being Mary Whitehouse. 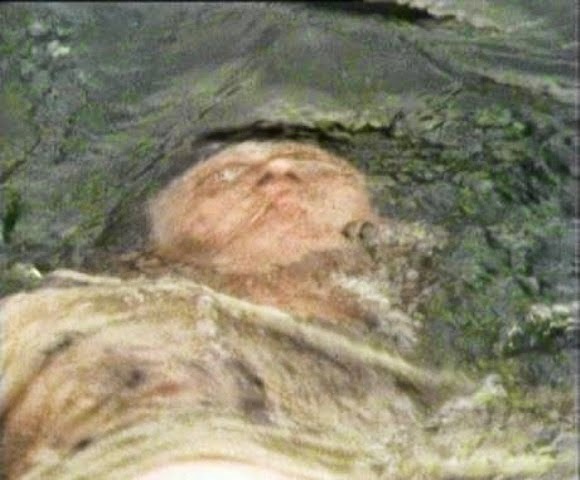 Protector of morals, upholder of traditional standards and all round busy body, Ms Whitehouse took beef with this week's cliffhanger and deemed the sight of a seemingly drowned Tom Baker to be far too much for the little kiddos of Blighty. Such was the noise Ms Whitehouse made that Aunty Beeb trimmed the ending for future broadcasts. We're gonna skip ahead a bit to 2009. Those poor little kiddos of Blighty have had to wait a whole 24 hours for part two of The Sarah Jane Adventures story Mona Lisa's Revenge, and it would be cruel of me to make all 0.92 million of the CBBC viewers to wait any longer. Documentary charting the history of the time-travelling maverick, including contributions from writers and actors who have worked on the series, plus clips featuring all the Doctor's incarnations. First of three sketches written by David Walliams and The League of Gentlemen's Mark Gatiss. It is 1963, and a young TV producer has an idea for a family series. With Mark Gatiss , David Walliams and Paul Putner. Professor Tom Kirkwood, an expert on ageing, explains the scientific concept of regeneration that has allowed the Doctor to live on in different guises. Recollections of the Doctor's most memorable foes - including the Daleks, the Sea Devils and the Cybermen- and how they were created. Comedy sketch centred on the various alien adversaries that have confronted the Doctor. The Kidnappers follows Doctor Who at 10.30pm. Nuclear physicist Doctor Jim Al-Khalili explains how a blue police box enabled the Doctor to travel through space and time. 10.30 Doctor Who The Daleks. The final episode, shown in 1964, of the first story with the Daleks. Starring William Hartnell. Written by Terry Nation; Directors: Christopher Barry and Richard Martin. 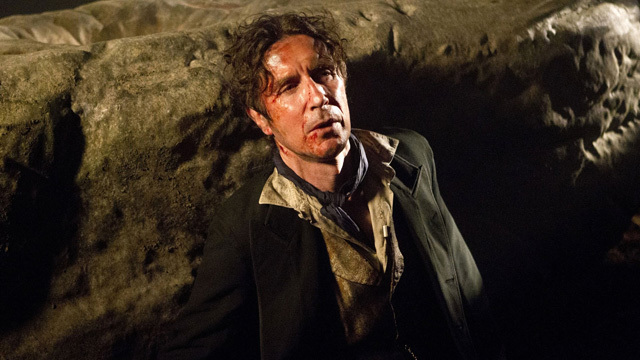 Feature-length adventure, first shown in 1996, starring Paul McGann as the Doctor. On New Year's Eve 1999, a British police box materialises in San Francisco. Written by Matthew Jacobs; Executive producers: Alex Beaton. Philip Segal and Jo Wright : Director: Geoffrey Sax. In 2003 Grant briefly provided the voice for what began as the official Ninth Doctor but was quickly shot from canon when it was announced Russell T Davies would be reviving the series. Long before the web was a popular medium for watching television shows, episode one of the 40th Anniversary animated web adventure Scream of the Shalka was released onto the BBC's Doctor Who website at noon on this day. 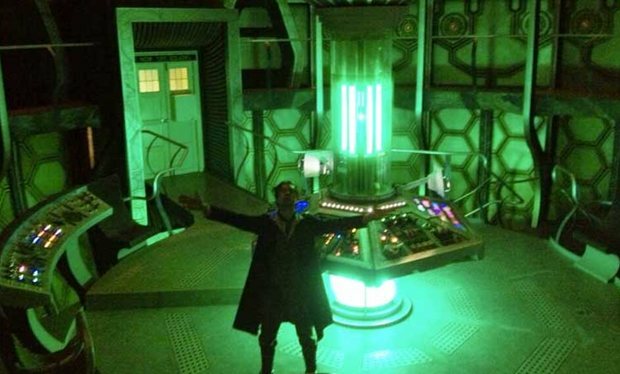 So what do we have for this day in Doctor Who history? Can it rival November 13th? Er, in a word, no! But there's always part three of Planet of Giants, titled Crisis, which was broadcast on this day in 1964 at 5:15pm, and watched by 8.9 million viewers. Oh, and there's also the 2015 series nine episode Sleep No More. Mark Gatiss' crapola found footage story holds the title of being the lowest watched episode of Doctor Who since the show was revived in 2005. (And they say there's no accounting for taste!) It was watched by 4 million viewers overnight. This number rose to 5.61 million after seven days of time-shifting. It's back to the 'all teeth and curls' era once again for yet another bumper day. We start with two fine Fourth Doctor stories both coming to an end. From 1975 we have part four Pyramids of Mars, broadcast at 5:45pm and watched by 11.7 million viewers, and five years later the fourth part of Full Circle had 5.5 million pairs of eyed watching. Moving into the 1980's, 1986 to be exact, and the Sixth Doctor is facing part eleven of The Trial Of A Time Lord, which saw 5.3 million tune in for the third installment of Terror of the Vervoids. Three years later and the end of classic Who was nigh when part four of The Curse of Fenric arrived on this day with just 4.2 million sets of eyed tuned in to witness. 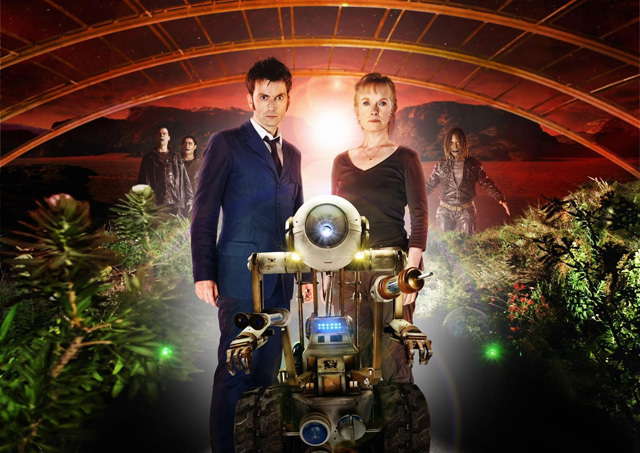 In 2009 another era was coming to the end - that of the Tenth Doctor. But before The End of Time 10.32 million viewers would take a dip in The Waters of Mars. Three part threes to begin this day. Firstly, one from the Second Doctor adventure The Invasion which was broadcast on this day 47 years ago to 7.1 million viewers. Five regenerations later and we have 1987's Delta and the Bannermen, and the following year's The Happiness Patrol. Respectively they were watched by 5.4 and 5.3 million viewers. A double dose of Who treats arrived on this day as part of the 2007 and 2012 Children In Need appeals. Above you'll find the fifth and the tenth starring in Time Crash, and below we have the prequel to The Snowmen, The Great Detective. And, as promised, we mustn't forget part two of the 2010 The Sarah Jane Adventures story Goodbye, Sarah Jane Smith for the 0.81 million eager CBBC viewers. 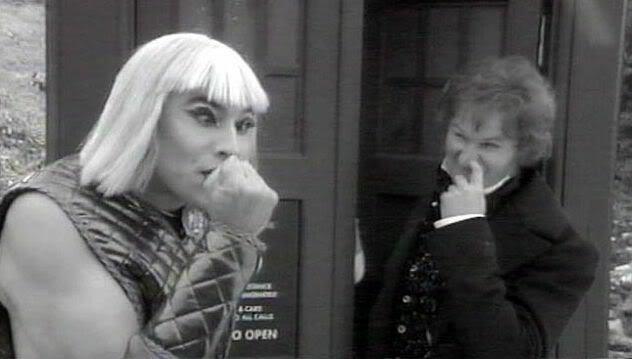 Now the Doctor has become fully acquainted with The Creature from the Pit it's time to break-up, as the fourth and final part of this story was broadcast on this day in 1979 at 6:03pm, and watched by 9.6 million viewers viewers. Then, what would the day be without The Sarah Jane Adventures? Good job we have episode two of The Mark of the Berserker, broadcast on this day in 2008 to 0.87 million viewers. On this day in Doctor Who history we have episode two of the Second Doctor adventure The Ice Warriors. Broadcast in 1967 at 5:24pm and watched by 7.1 million viewers, which was just 0.5 million less than were tuned in to part four of The Stones of Blood eleven years later. Also on this day, in 1961 the man who would one day be Executive Producer of Doctor Who was born. 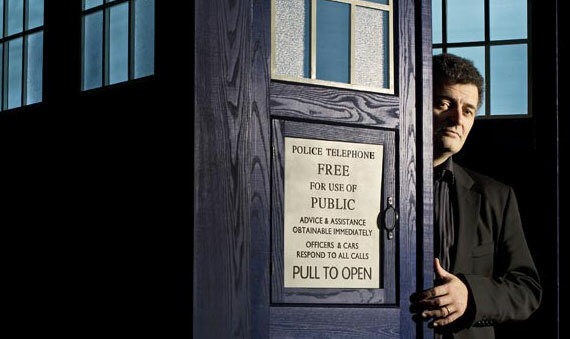 Happy birthday Steven Moffat! Episode three of the Second Doctor's debut adventure The Power of the Daleks was broadcast on this day in 1966 and watched by 7.5 million viewers. They were the lucky ones as the BBC quite stupidly wiped the tapes meaning no-one else got to see it. Until now that is, as the new animated version is available. We reviewed episode three of such here. Also on this day we have part four of Image of the Fendahl, which first aired in 1977 and was watched by 9.1 million viewers. Then it's our usual spin-off section, to round up another week in Doctor Who history. First up, we go post-watershed with the Torchwood team who are enjoying a 'nice' day out of the city in the Countrycide. Broadcast in 2006 at 10:00pm, this episode was watched by 1.22 million viewers. The following year we have 1.33 million tuned in for part one of The Sarah Jane Adventures story The Lost Boy. 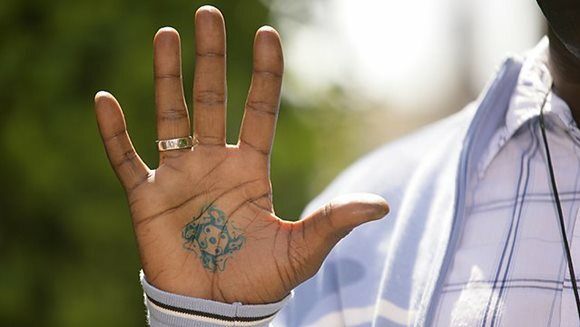 Then, in 2009 it's another episode of The Sarah Jane Adventures, and that would be part one of The Gift which was watched by 0.95 million viewers. Finally, remember to head over to BBC Three next Saturday November 19th 2016 for episode six of Class, for a story titled Detained. Did you watch any of these adventures live? Just how crap was Sleep No More? I mean really, what were they thinking?